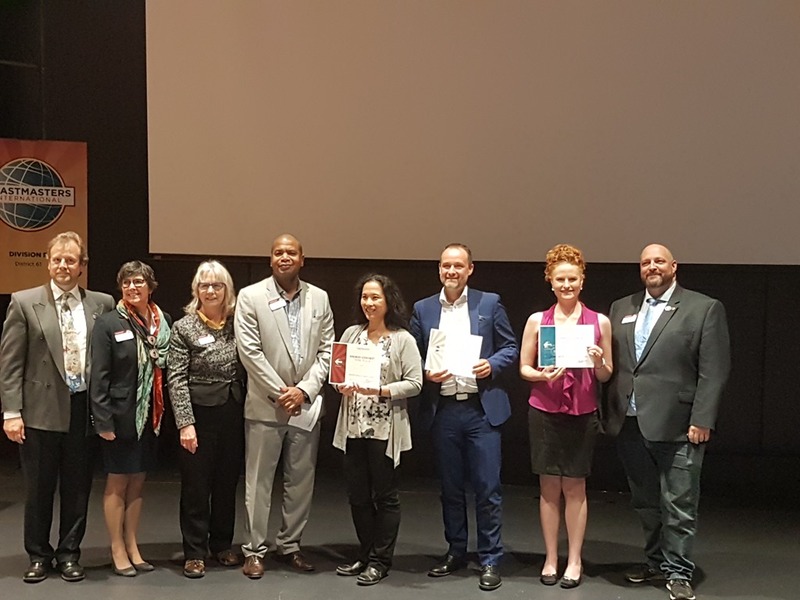 ﻿ Public Speaking Downtown Montreal Parler en public | St.Lawrence Toastmasters Montreal » Congratulations Nadine for winning the Division contest! Congratulations Nadine for winning the Division contest! 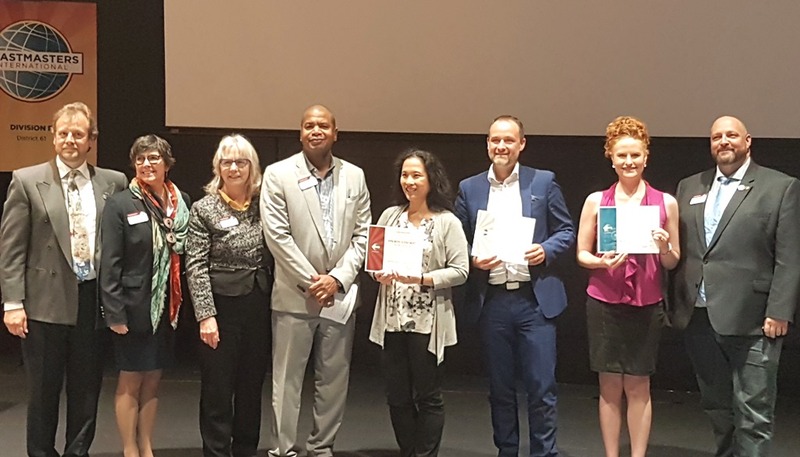 We’d like to congratulate Nadine Champagne, proud member of St. Lawrence Toastmasters Club in Montreal, for having won the first place in the Toastmasters Division F English Humorous Speech Contest. 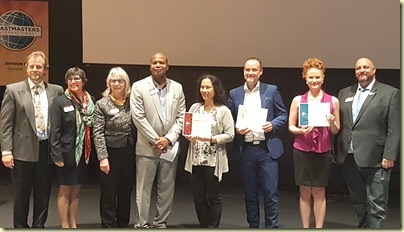 Nadine (standing second from the right) at the Humorous Speech Contest. Martina (shown standing in the middle) at the Evaluation Contest.